*There is a small transaction fee for online payments (approx $1 fee for every $25 paid online). LIQUID is what we call our canoeing day trip that's open to the public. Florida is saturated with many incredible paddling destinations and GTD wants to take you there! We invite you to join us on one of our annual LIQUID paddles as we explore a different waterway in God's amazing creation. 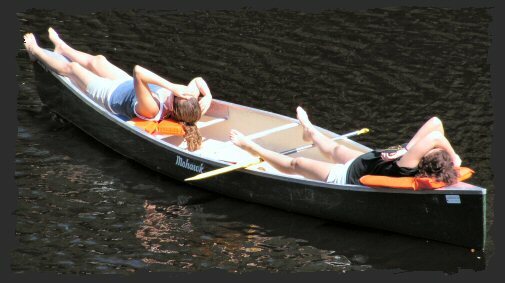 Let GTD put you in the seat of one of our Mohawk Blazer Canoes as we guide you into God's liquid playgroud. LIQUID canoe trips are Christ-centered events that include lunch, a daily devotion from the Bible, all canoeing equipment, full time guides, and a whole lot of God-awesome fun!!. 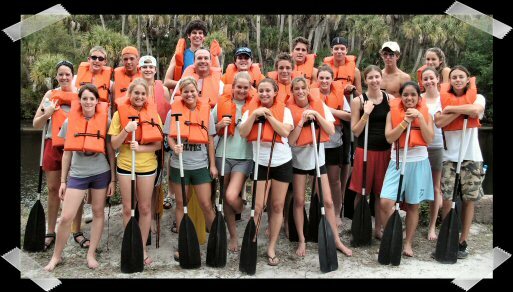 We can take 20-30 canoers per trip. Spots do go fast so sign up today. Call or email to sign up! And pay online or by check to lock-in your spot. Apr 3, 2010 (Sat) CANCELLED DUE TO LOW PARTICIPATION!! TO REGISTER: Call or email to sign-up! Pay online or by check to lock-in your spot. PHOTO ALBUMS: Click here to see some pictures from previous trips. "Explore Tampa's premier attraction for bird watching, photography, canoeing, kayaking, and family memories. Escape to nature on a downstream, quiet-water, paddling adventure through a 16,000-acre wildlife preserve. In all seasons the Hillsborough River astounds with its beauty and abundant wildlife. From the thousands of white ibis in the fall, the sightings of deer, wild hog, and turkey in the winter, the proliferation of songbirds in spring, and its cooling shade on a summer's day, the Hillsborough River brings a new surprise and delight around each bend. Bring your sense of adventure and paddle through this cypress swamp full of Florida's unique flora and fauna. Perhaps paddling close to a sunning 'gator, a threatened limpkin, turtles congregating on a log, or overtop of a large-mouthed bass will be the most prized memory of your trip. Whether this is your first-time, you are an experienced paddler, a vacationer or a local resident, the Florida you're looking for is just a short paddle away!" Full time guides, canoes, paddles, life vests, dry containers, lunch & drinks, small snacks, Christ-centered devotional, a lifelong memory! Additional snacks, water bottles, any meals during transit, items listed on checklist (see below). REMINDER: THIS TRIP IS LIMITED TO THE FIRST 30 PAID PARTICIPANTS!! GTD events can be paid for with cash, checks, or debit/credit cards (online only). Click on the following links for more information or to make a payment.